2017 CMA Fest Music City Stage at the Bridgestone Visitor Center Lineup! The 2017 CMA Music Festival Music City Stage lineup was released today! 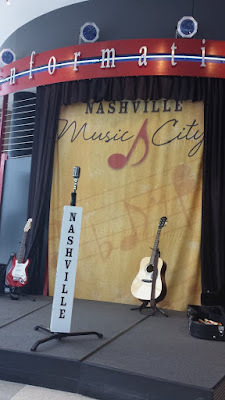 This small stage at the Nashville Visitor Center inside the Bridgestone Arena Tower is a great place to hear up and comers while cooling off in the air conditioning! It has been a lesser known stage in the past so it hasn't been very crowded! Click here to see what other up and coming country artists are playing the Music City Stage at CMA Fest 2017!! !